Remember back in the mid to late 2000's when everyone turned in their dual rectifier amps and mosh parts to start playing vintage amps and trying to start stoner rock bands? It was a terrible time. Most of the bands lasted a couple of weeks and before you knew it those folks had decided to start hoax/ceremony copy bands anyway. Luckily, there are bands out there that can give this music the treatment it deserves, backed by an enormous amount of talent. 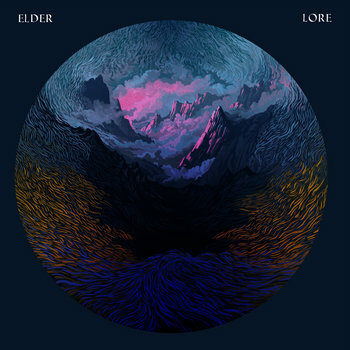 To call this stoner rock would not be giving it nearly enough credit for the musical intracacy and aggressive delivery that Elder has been able to put forth. Sure, there's a visible classic rock influence, but the band seems to manage to make it sound fresh, new and exciting. The vocals are sparse, but when they do surface they are well fitting and carry a raw feeling to them that is absent from this style many times. It's almost as though the blues influenced vocals you would normally hear over this particular style has been replaced with something more aggressive and charged. It all works pretty well.